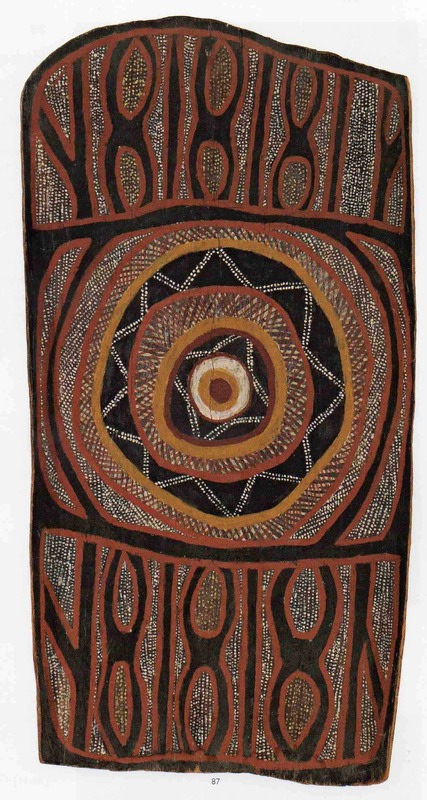 Alie Miller Mungatopi was a well known Tiwi bark Painting artist. He is best known for his bark paintings of traditional skin designs. 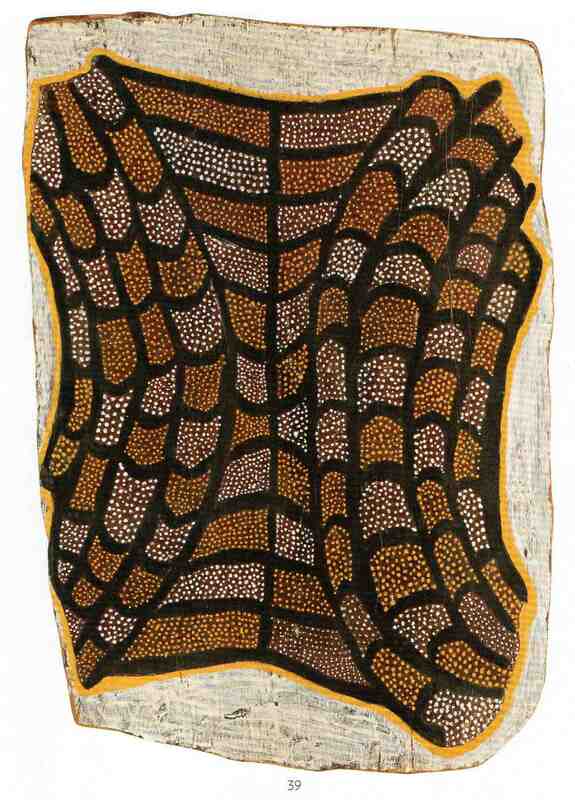 The aim of this article is to assist readers in identifying if their Tiwi bark painting is by Alie Mungatopi. It compares known examples of his work. 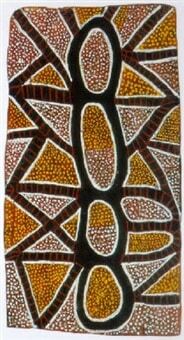 If you have a Alie Mungatopi bark painting to sell please contact me. If you want to know what your Alie Mungatopi painting is worth please feel free to send me a Jpeg. I would love to see it. 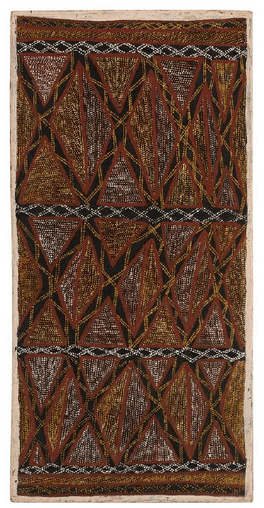 Unlike most Tiwi artists Alie Mungatopi is better known for his bark paintings than his burial poles or figures. Many of his bark paintings traditional designs as those used on the skins of initiates. This makes his paintings very collectible. Alie Mungatopi died in 1968 before the commercial production of barks took off. It is for this reason that there are so few examples of his work. No doubt had he been born 10 years later his works would have been far more prolifically collected. Alie Miller Mungatopi was one of the Tiwi’s major dancers and holders of traditional knowledge. He had 4 brothers who were also well-known artists. His brothers were King Larry, Laurie one eye, Deaf Tommy and Lame Toby. Alie was in the Snake bay patrols during WWII in 1943 and 1945. In 1948 Ali along with another famous artist Cardo Kerinauia danced for Queen Elizabeth in Toowoomba. Alie’s wife was Polly. Polly became close friends with Sandra Holmes a famous Tiwi art collector. If anyone knows more information about the biography of Alie Mungatopi, please contact me as I would like to add it to this article.